Firefighters armed with a hose reel jet and water back-packs have extinguished a blazing field fire. The fire erupted across a field - measuring 900metres by 600metres - near Back Lane, Pentrich, Ripley, about 1pm, on Sunday, September 18. 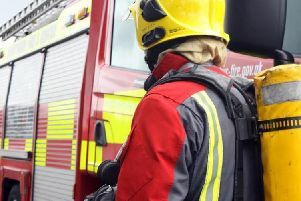 The area was made safe by about 2pm as the Alfreton firefighters damped the field down to ensure the fire would not re-ignite.